USPA NEWS - The Angels Hope Cyber Initiative is a proposal from Angels Hope to the Federal Government of Australia requesting that Australian Communications and Media Authority (ACMA) be given the powers to require a mandatory two-step phone verification registration for all Social Media accounts created or used in Australia. According to the Angels Hope Cyber Initiative , further request that ACMA be given the powers to require Social Media providers to reverify all accounts each year through the two-step phone verification. As part of Angels Hope proposal asking the Federal Government to legislate that Social Media providers only be required to release an account holders registered phone number upon receipt of a Court Issued Subpeona except in cases of Imminent Harm or Imminent Threat. Ambassador Bella Rose grew up being bullied at school and on social media . 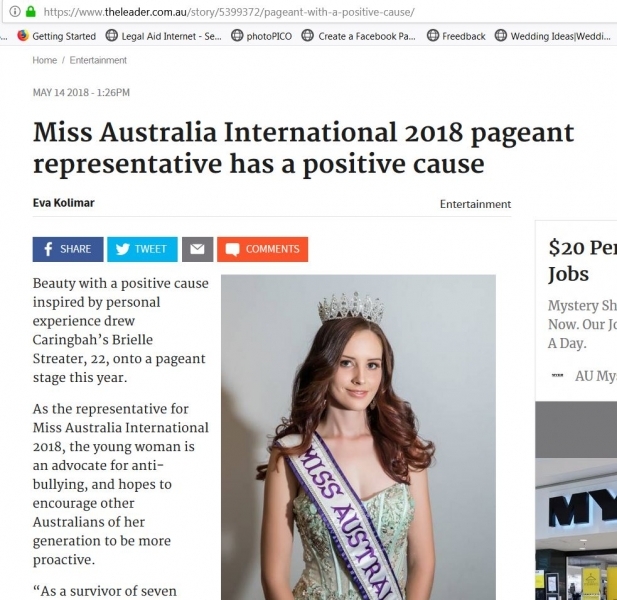 21-year-old beauty queen and 2018 Miss Australia International travels around Australia, spreading the word about bullying and violence, offering victims an avenue of support. 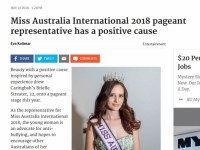 In an interview Bella Rose said ,“we have traveled over a quarter of a million kilometers, talking to kids in community towns about how to fight bullies.” Belle Rose went on to say." It was a great way to get out, think of myself, help myself, stop worrying about everyone else and grow.” Bella Rose a victim of continued cyber bullying was unable to talk or eat, she described the experience as losing her identity. but now has created a better version of her former self to educate others . 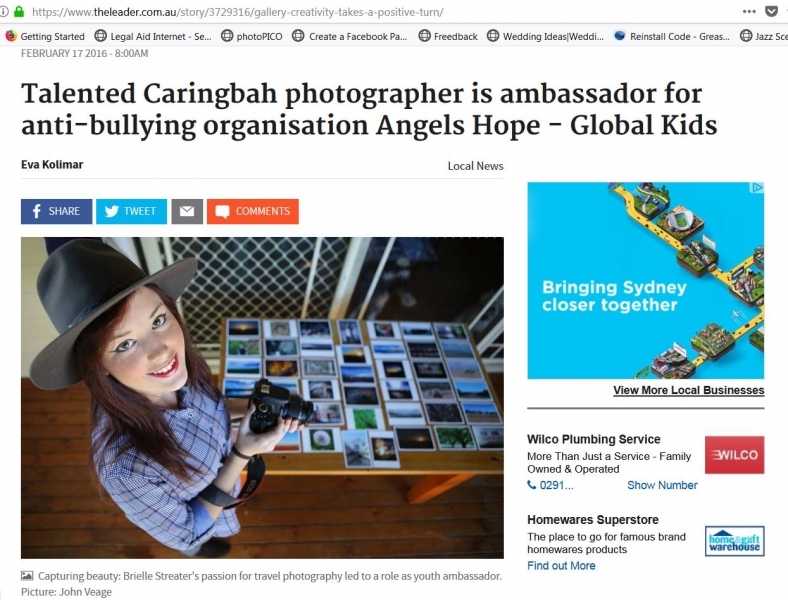 After hearing Bella Rose on radio talking about what I had been through , Angels Hope asked her to be their youth ambassador. “I though it was a great way to help kids in need, explain to them what I had been through and help them work out a way to get over it." said Ms Rose. Angels Hope was founded by father and daughter Reuben and Chloe Cunningham after Chloe's hospitalization from severe bullying. 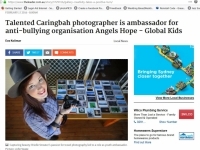 Angels Hope focuses on the continual aim is to raise awareness of the serious affects in all capacities of bullying, Bully Related Youth Suicide, the strengthen of laws against bullying actions and the Cyber-Initiative to significantly reduce cyber-bullying and online predators. Most important show leadership - be a person that can change society by becoming a more tolerant and compassionate human that has empathy for your fellow student who may not be as confident as yourself.